Global Footprint - kristoFOAM Industries Inc. : kristoFOAM Industries Inc.
KristoFOAM Industries Inc.’s strategic cooperation agreement with Odenwald-Chemie creates the only true global supply network capable of providing common products for all sealing and NVH requirements. Both companies have industry-leading best practices that are shared globally, and are recognized as industry leaders in custom foam fabrication and project management. 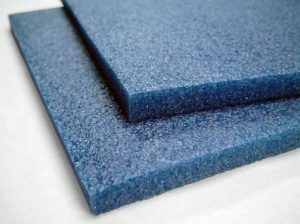 KristoFOAM Industries Inc. and Odenwald both have state-of-the-art custom foam fabrication facilities that utilize premier raw materials. This cooperative approach allows for custom foam fabrication products and parts to be produced globally using the same materials and manufacturing processes. No matter where our customers are located in the world, kristoFOAM Industries Inc. and Odenwald are committed to and capable of providing excellent customer service support.